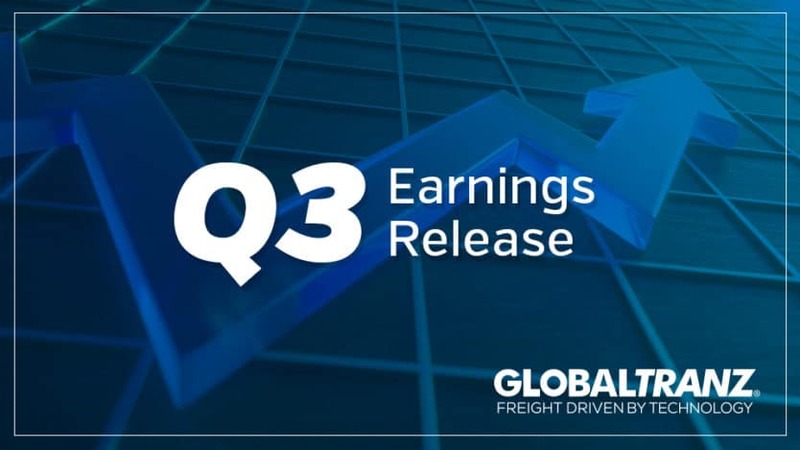 PHOENIX (Oct. 31, 2017) — (BUSINESS WIRE) — GlobalTranz Enterprises, Inc., a leading technology-driven third-party logistics (3PL) solutions provider, today reported third quarter revenues increased 42% and earnings grew 70% year over year, outpacing many competitors in the industry. The company’s ongoing success is attributed to organic growth, strategic acquisitions, exceptional employee performance and investment in proprietary technologies for its network of freight agents, shippers and carriers. Over half of the company’s revenue growth is organic with the remainder achieved through acquisitions. Expanded service offerings to include Managed Transportation, Supply Chain Services and Project Logistics – Heavy Haul. GlobalTranz increased its share in the logistics market in 2017 through strategic acquisitions. Global Freight Source, Logistics Planning Services and Worthington Logistics Solutions are among the newest additions to the GlobalTranz portfolio. Integration efforts are well underway and planned to be fully implemented by the end of the calendar year. Mergers and acquisitions continue to play a key role in supplementing the company’s organic growth. In addition to the company’s financial success, GlobalTranz continues to establish new corporate citizenship initiatives, actively supporting the communities it serves. The launch of Ladies in Logistics, a program empowering women in the freight and logistics industries through mentoring, education and networking, has been a great success with over 150 members thus far. The company also showed its support of our nation’s unsung heroes of the road during National Truck Driver Appreciation Week. Employees were out in force at various truck stops nationwide recognizing the country’s truck drivers and expressing gratitude for the work they do each day. In response to the devastating impact of hurricanes in Texas, Florida and the Caribbean, GlobalTranz partnered with carriers and customers to deliver food, water and relief supplies to affected areas. GlobalTranz is a technology-driven freight brokerage company specializing in LTL, full truckload, third-party logistics and expedited shipping services. GlobalTranz is leading the market in innovative logistics technology that optimizes the efficiency of freight movement and matches shipper demand and carrier capacity in near real-time. Leveraging its extensive freight agent network, GlobalTranz has emerged as a fast-growing market leader with a customer base of over 25,000 shippers. In 2017, Transport Topics ranked GlobalTranz as the 13th largest freight brokerage firm in the U.S.